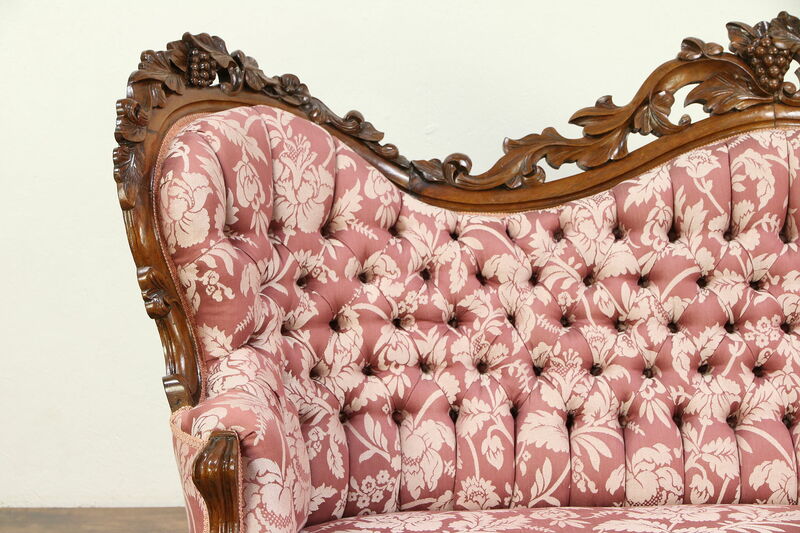 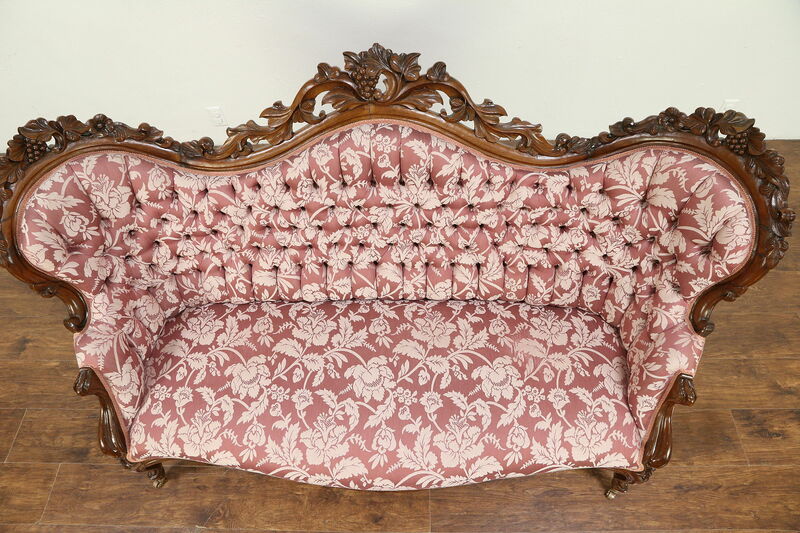 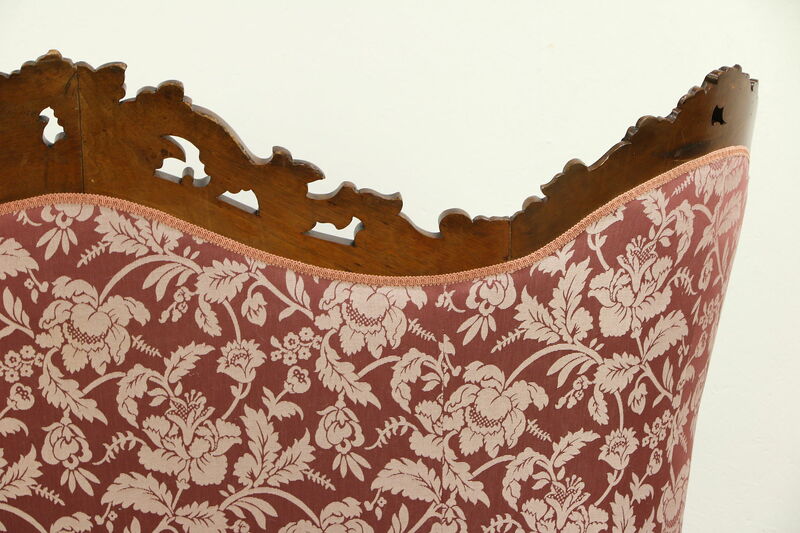 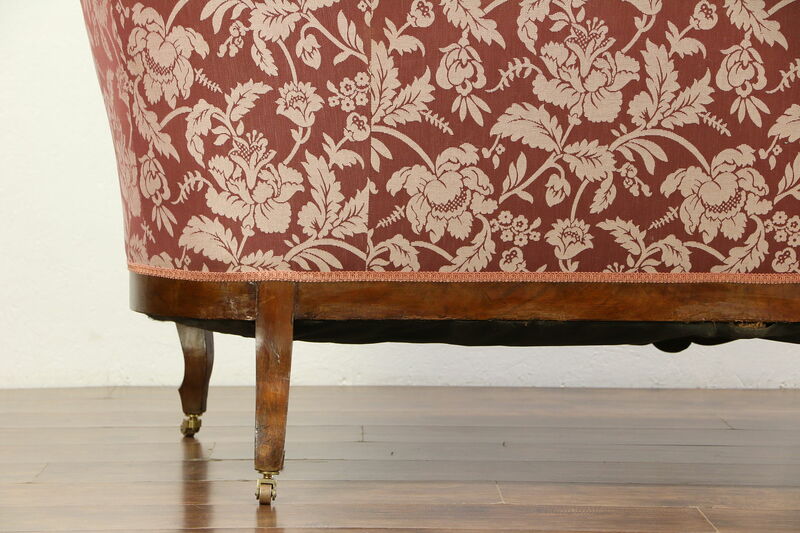 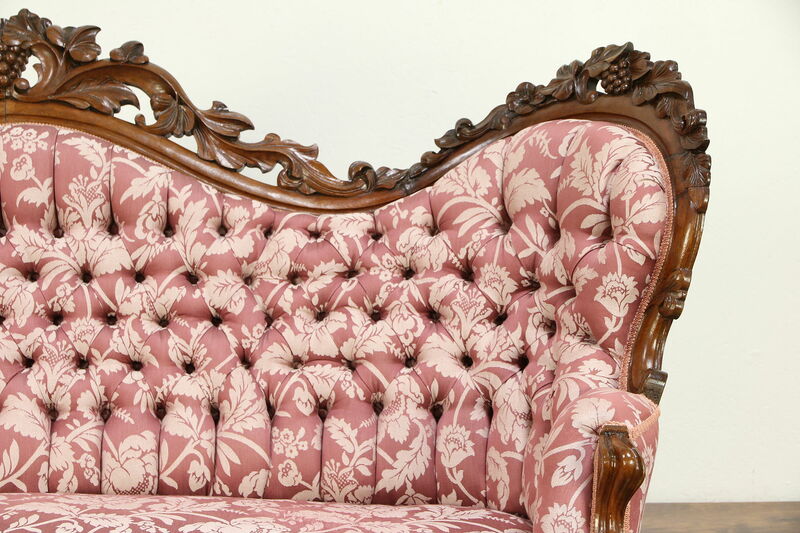 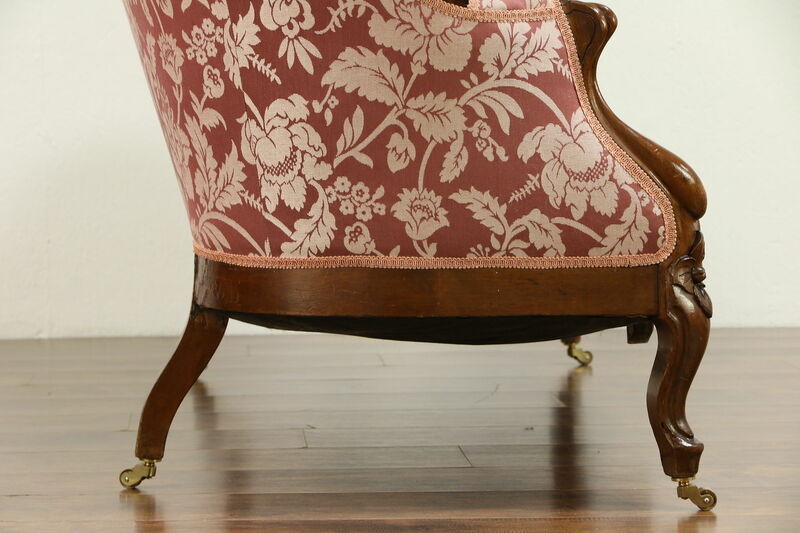 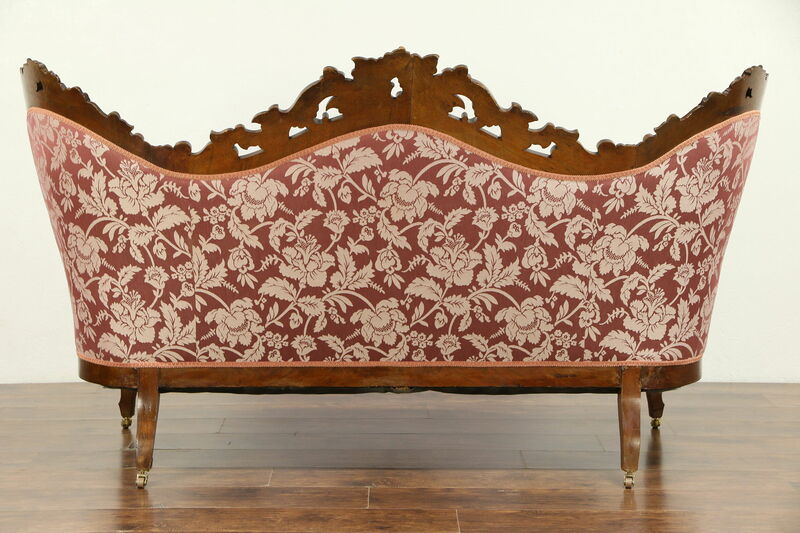 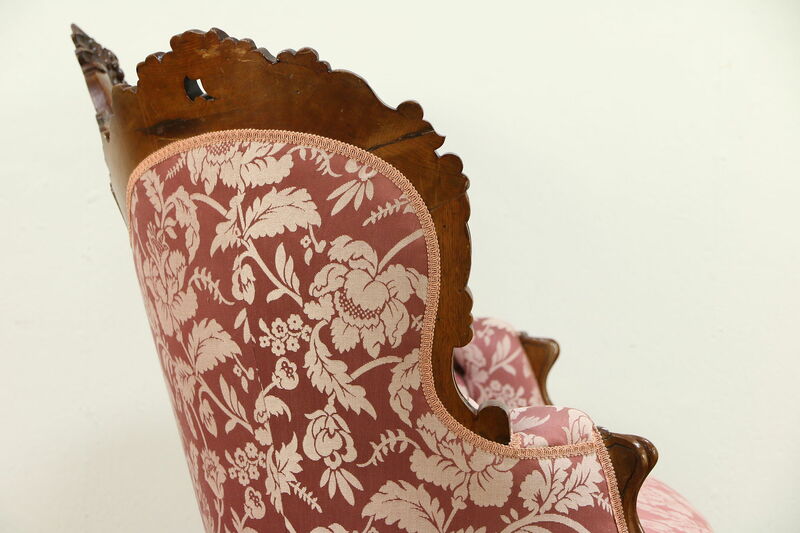 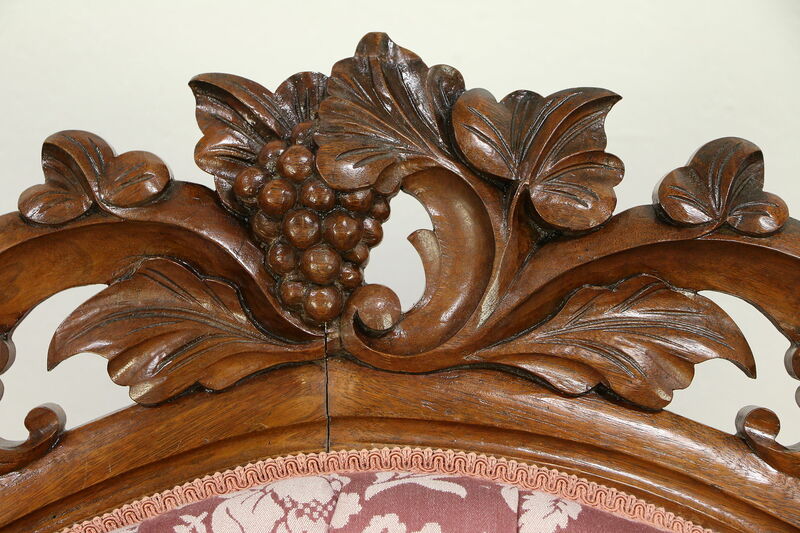 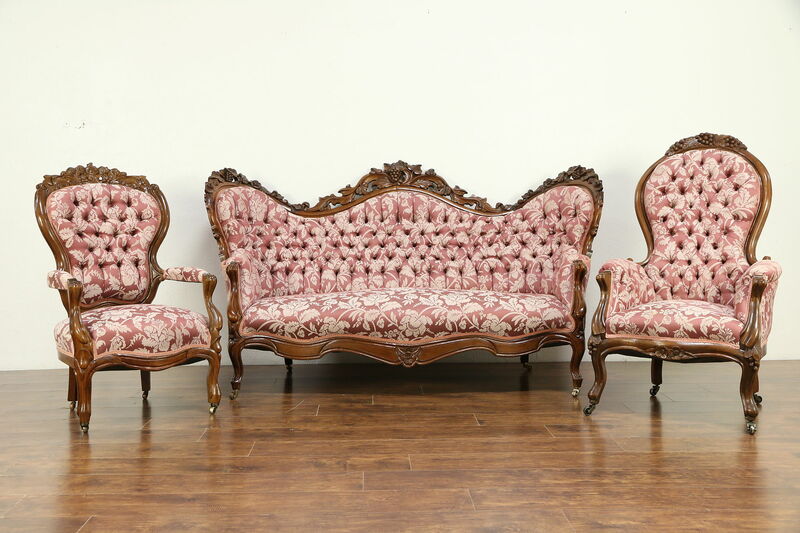 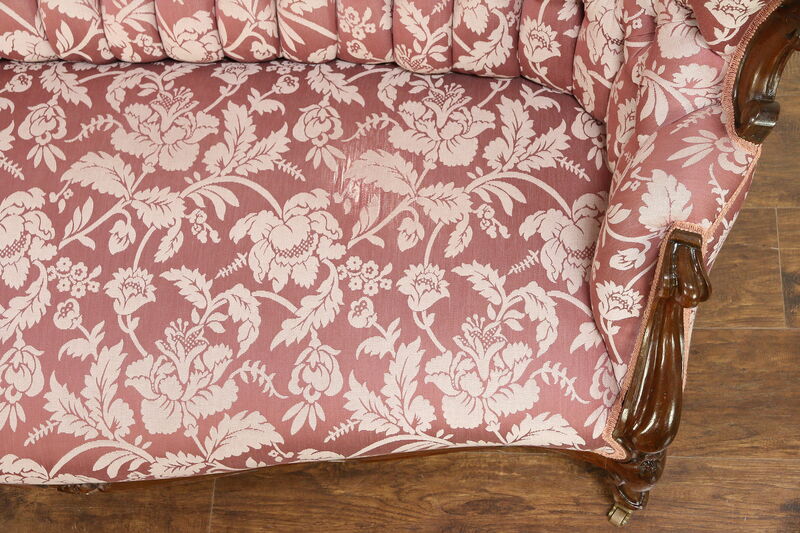 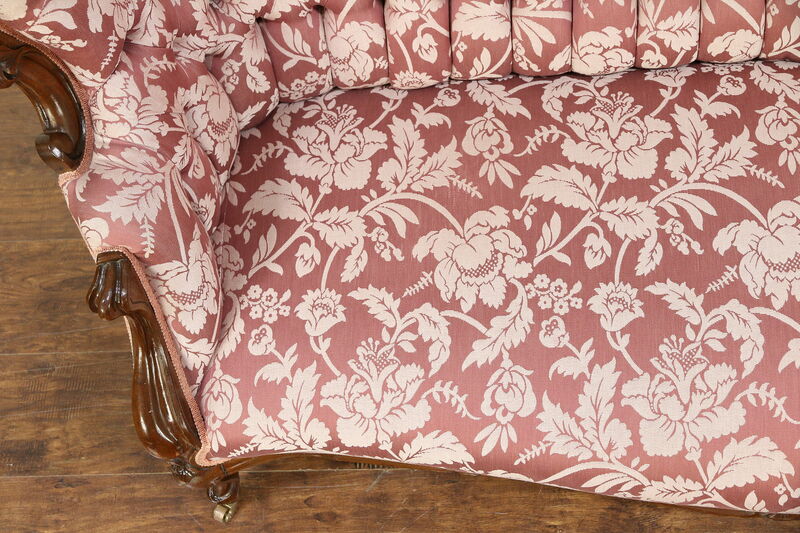 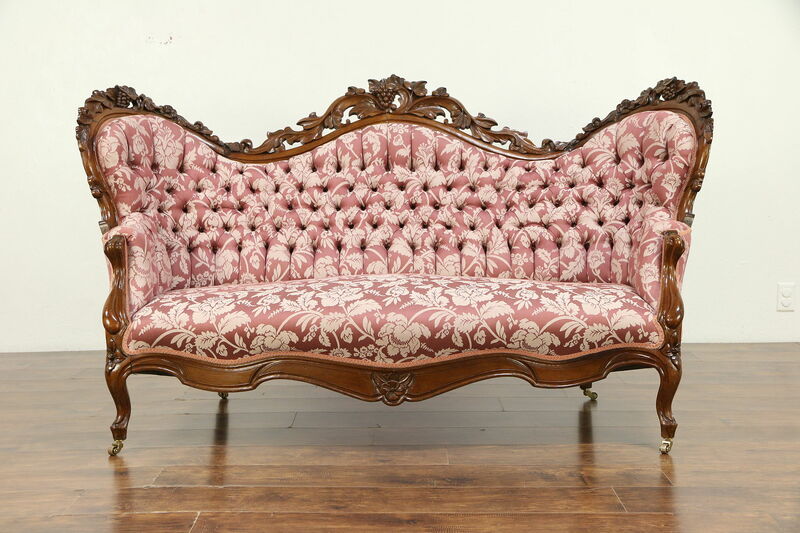 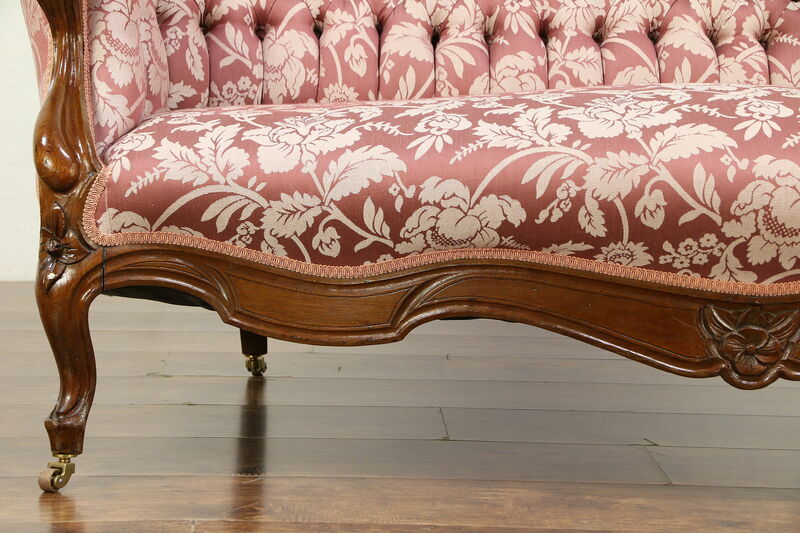 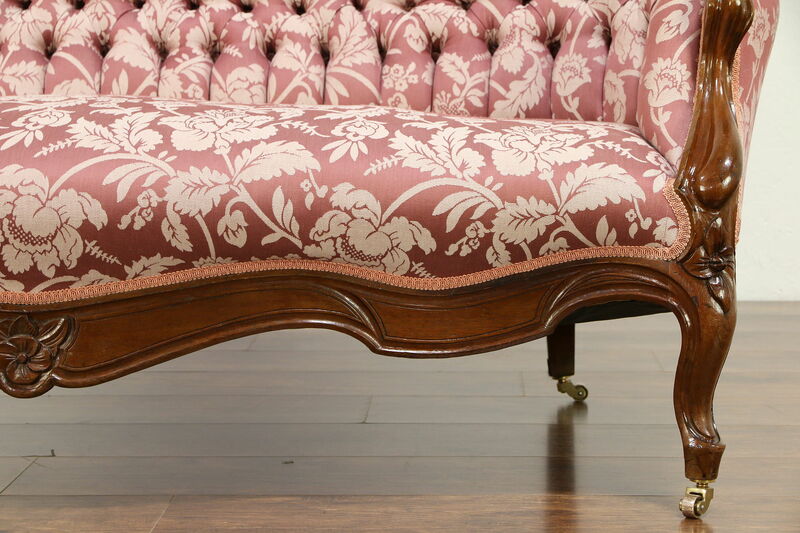 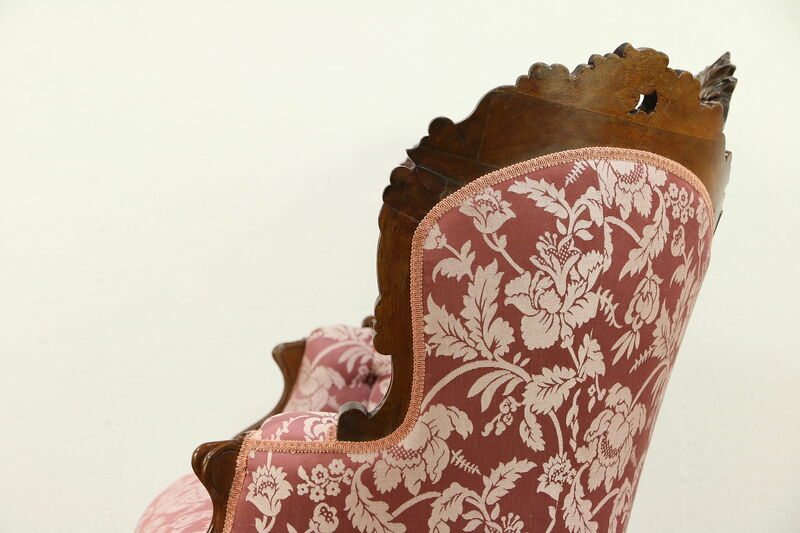 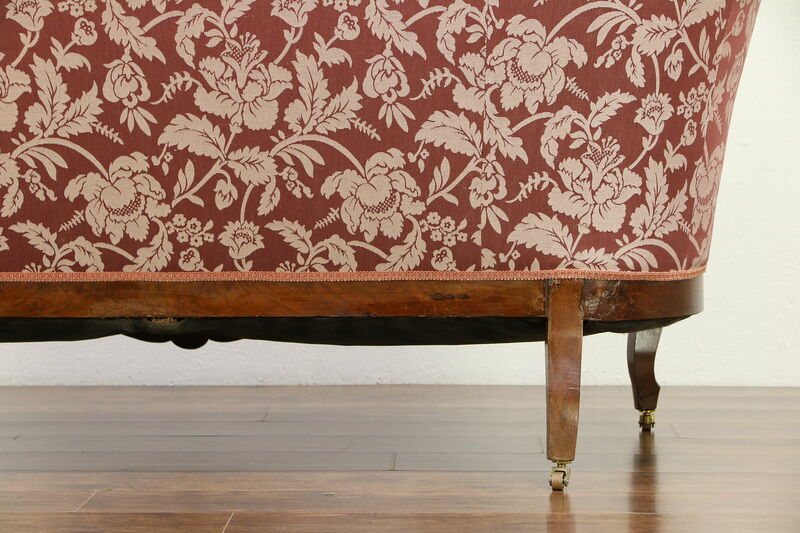 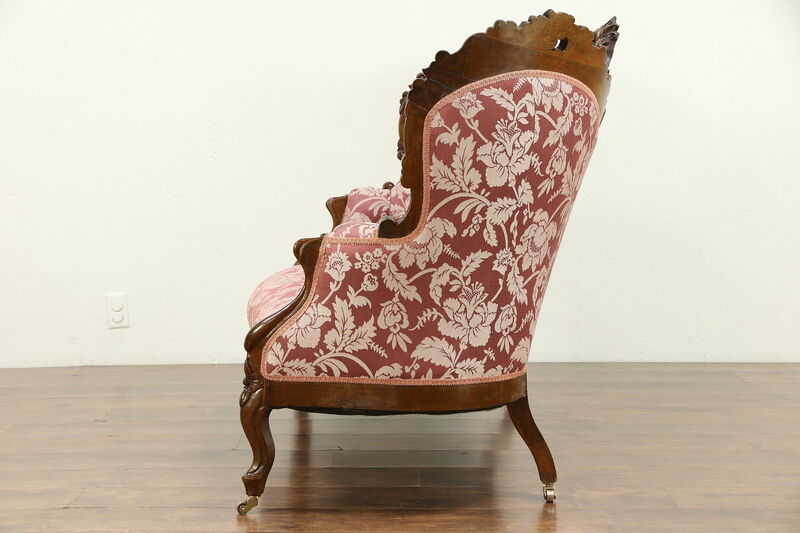 An exceptional Victorian period sofa from about 1860 has a curved frame, deeply hand carved with a grape motif. 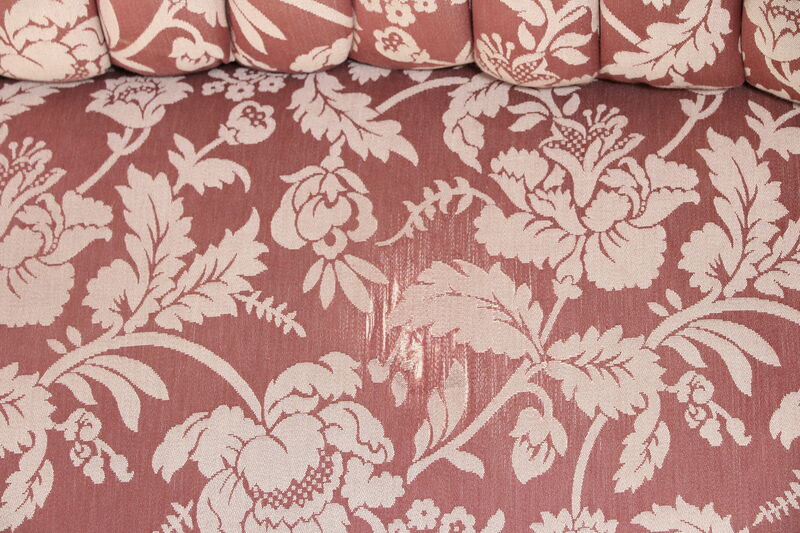 Tufted upholstery is in very fine condition with very little wear or fading except for worn spots on the seat, see photos. 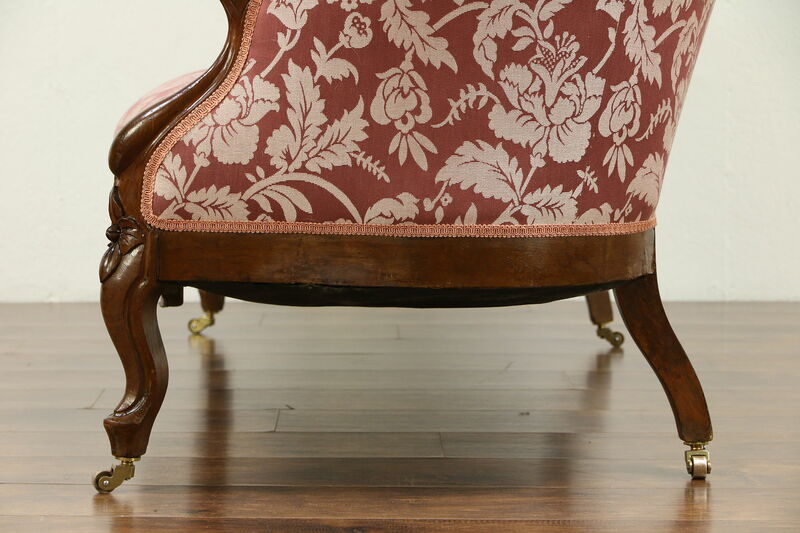 The old finish is in extremely fine condition, there are various old restorations at the joints as shown. 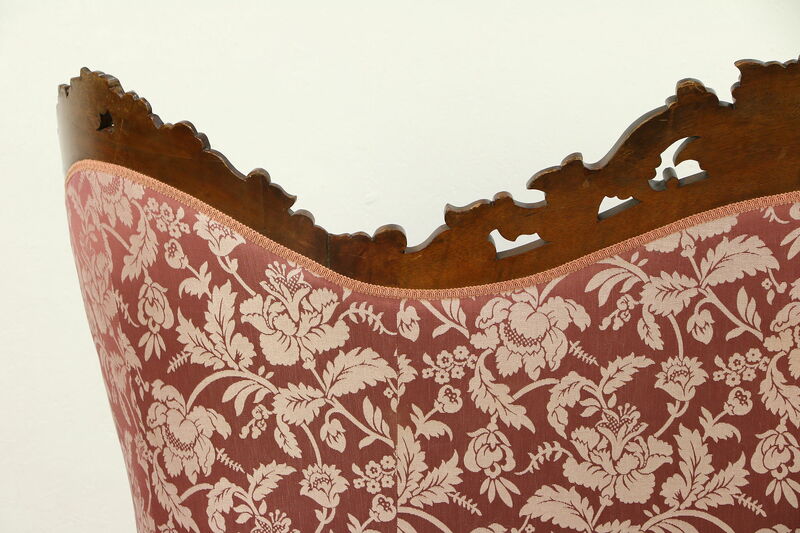 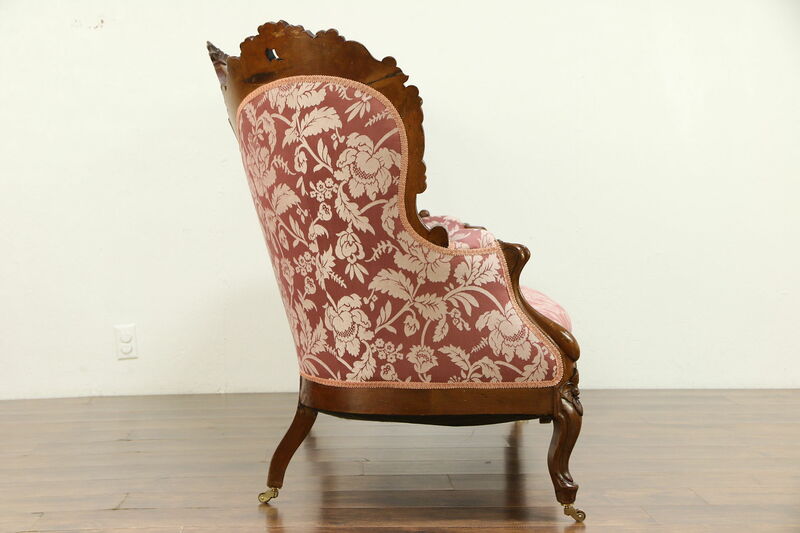 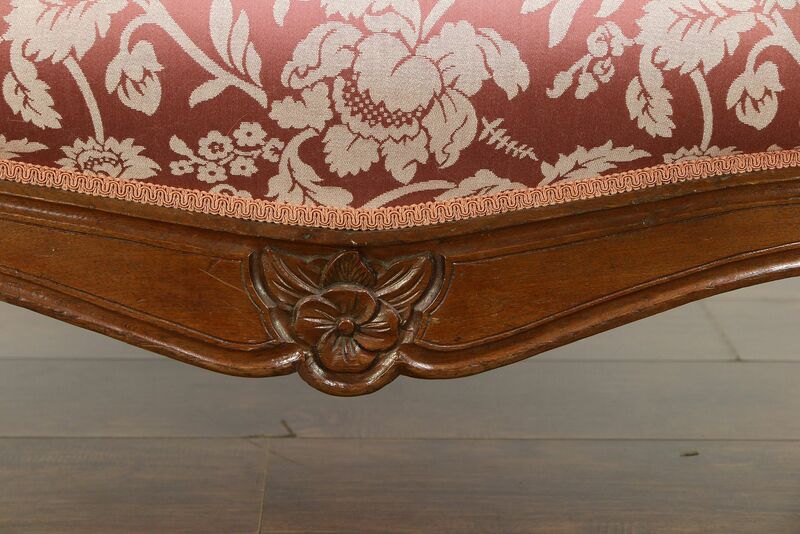 Springs are comfortable on the deep seat of this American made antique furniture. 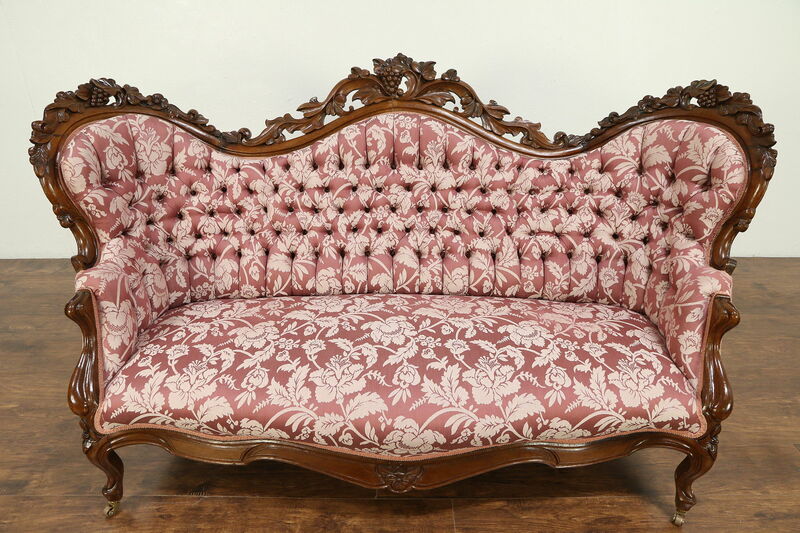 Size is 74" long, 32" deep, 46" tall and the seat is 17" high.